Bring the joys of the season into your workplace and spread that Christmas cheer to everyone in the office. 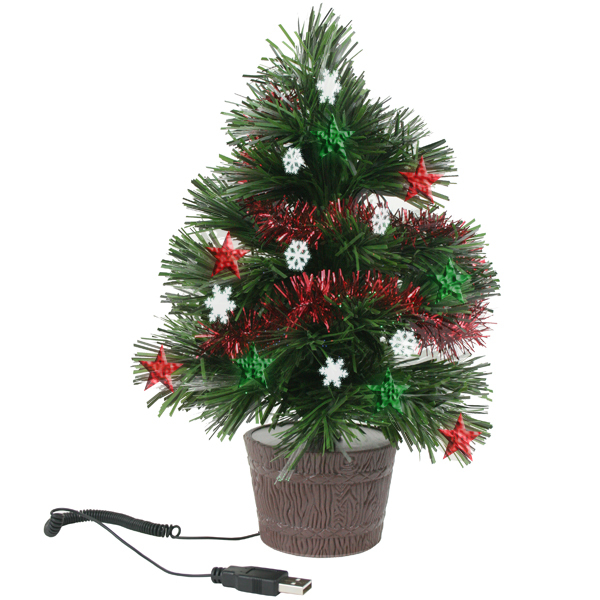 This tree is perfect as it never sheds its needles so no cleaning is required, and it comes with is own fiber optic lights and decorations. Get them branded with your logo to make a brilliant promotional product or corporate gift for your customers.